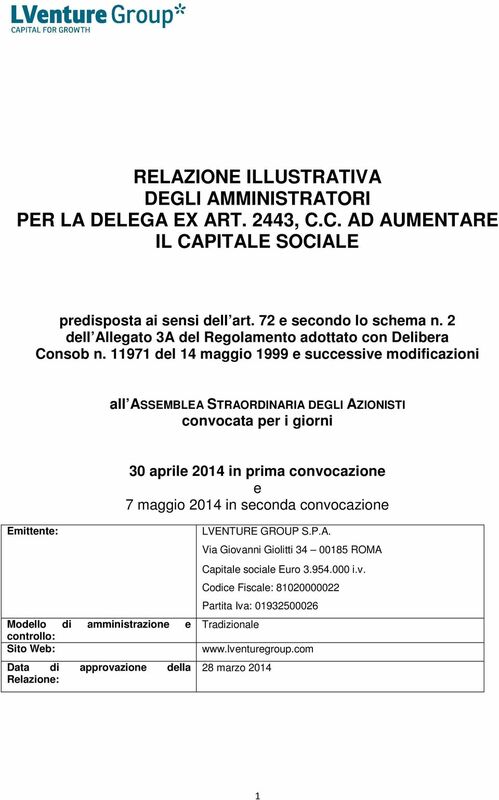 Download "RELAZIONE ILLUSTRATIVA DEGLI AMMINISTRATORI PER LA DELEGA EX ART. 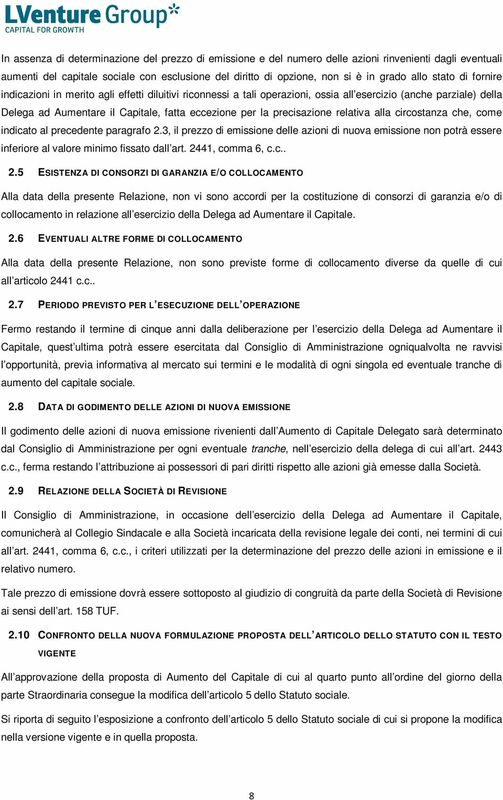 2443, C.C. 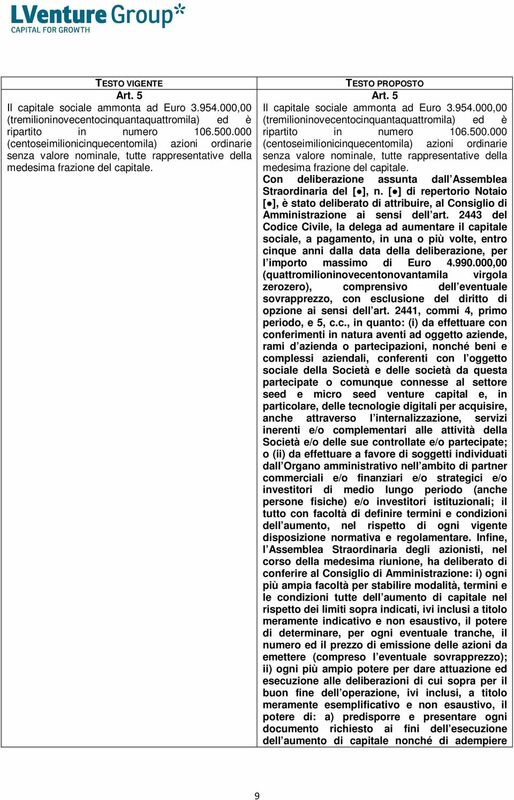 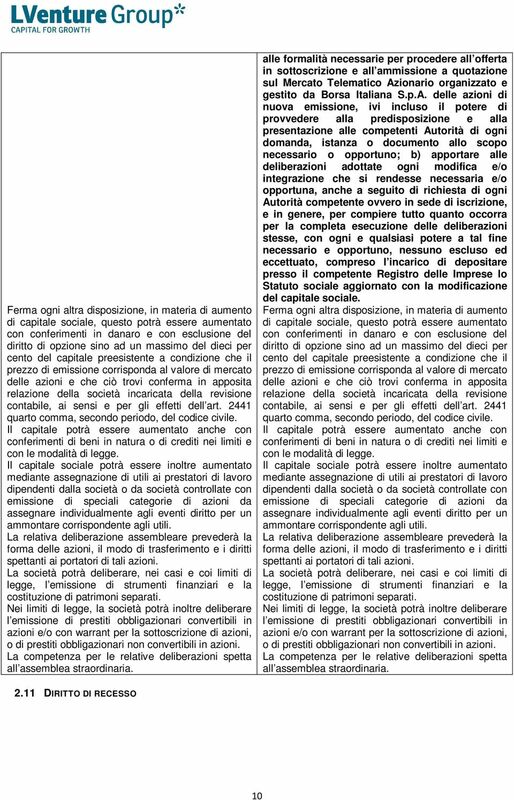 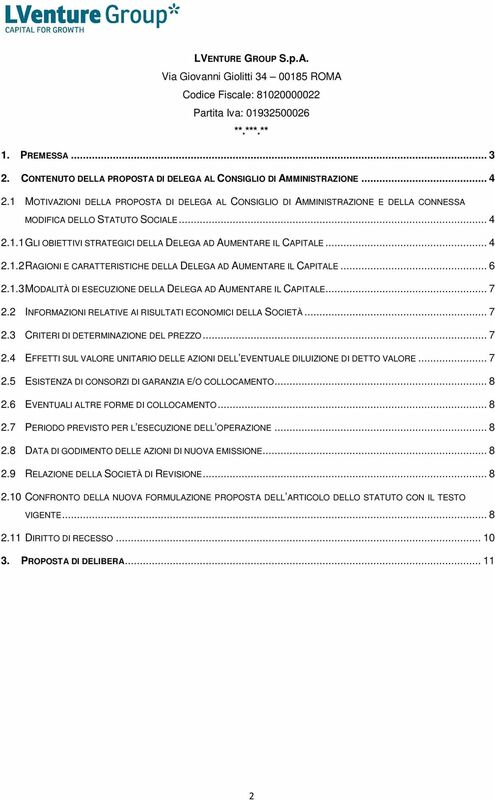 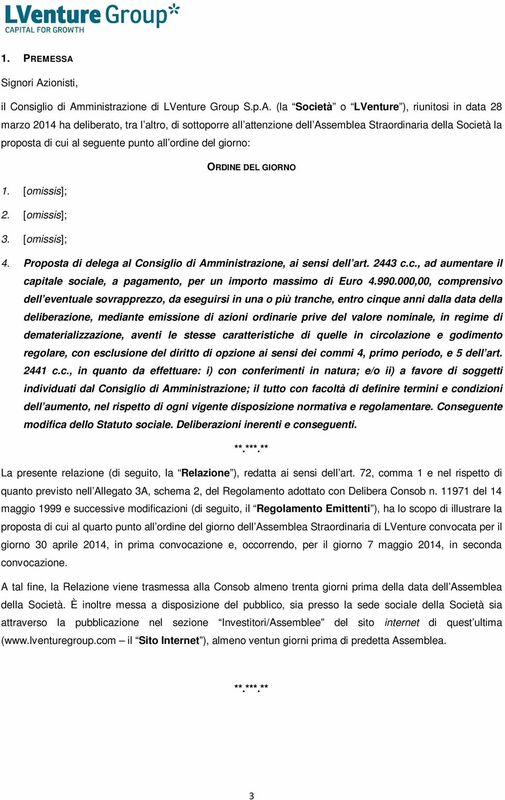 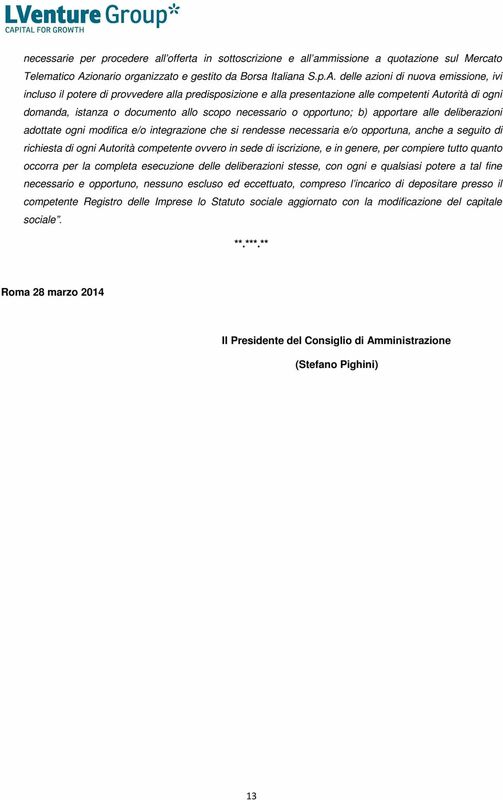 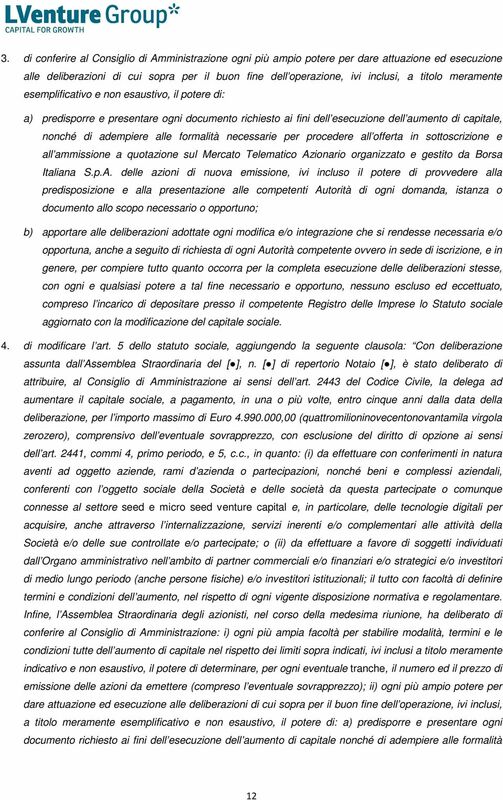 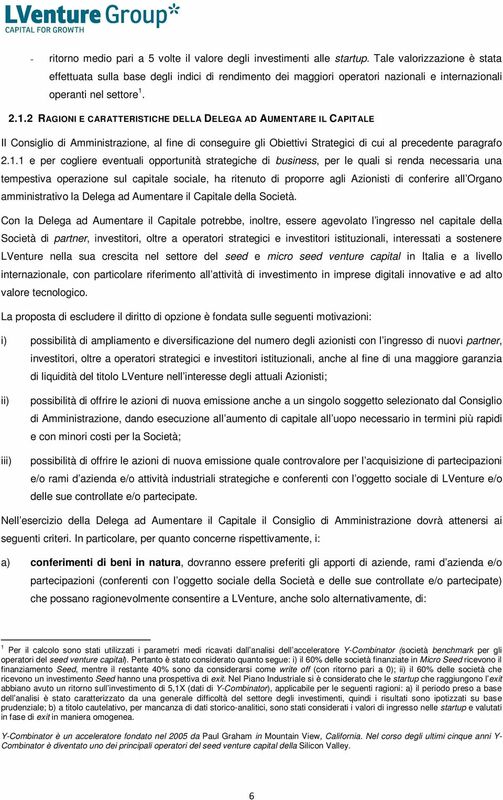 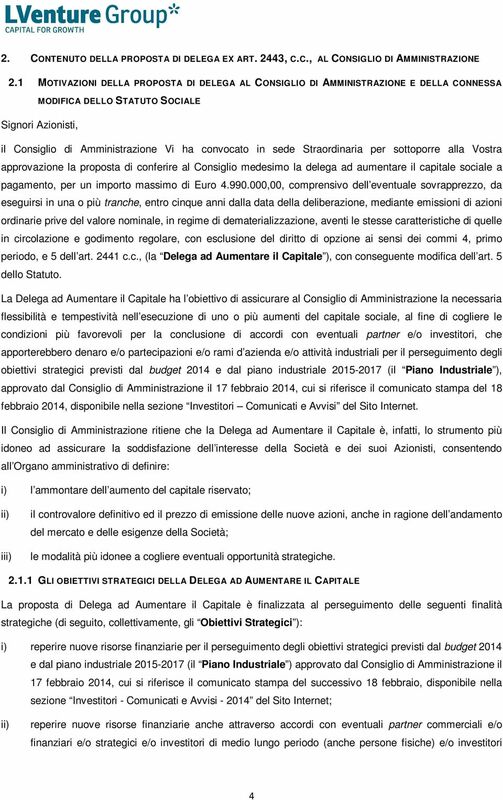 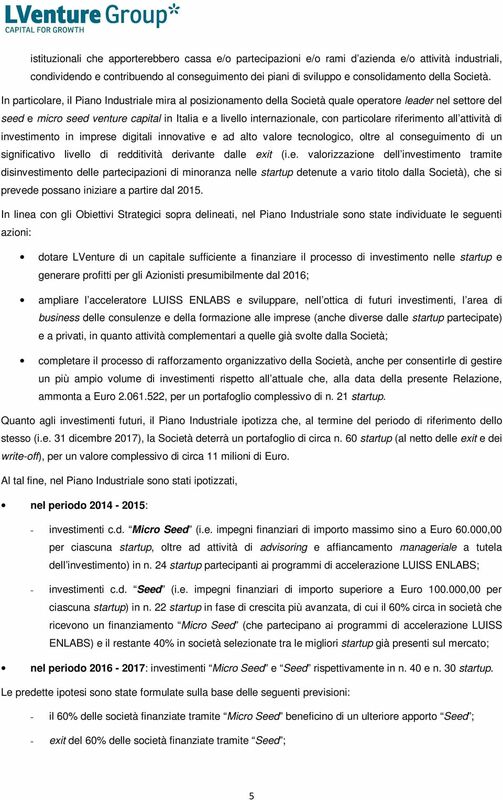 AD AUMENTARE IL CAPITALE SOCIALE"
PIANO DI STOCK OPTION 2015 2020, E CONSEGUENTE MODIFICA DELL ART. 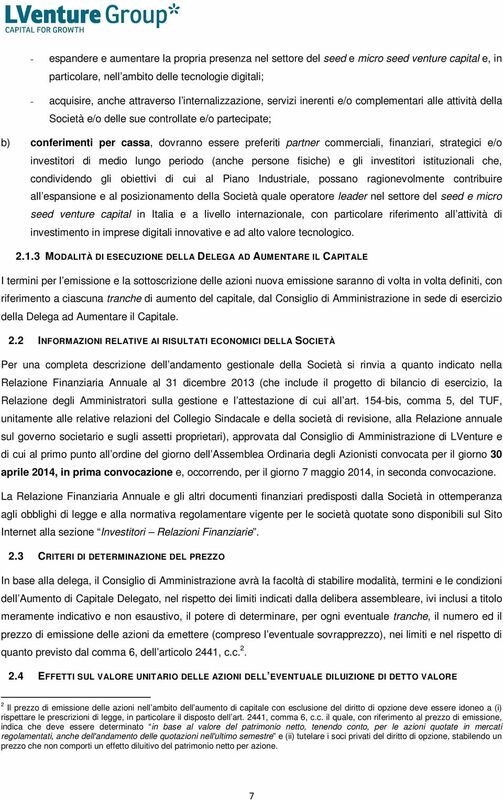 5 DELLO STATUTO SOCIALE. 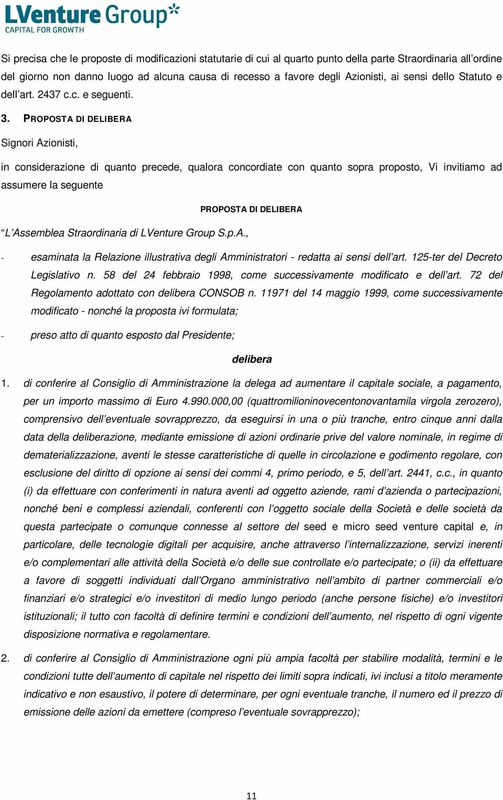 DELIBERAZIONI INERENTI E CONSEGUENTI.